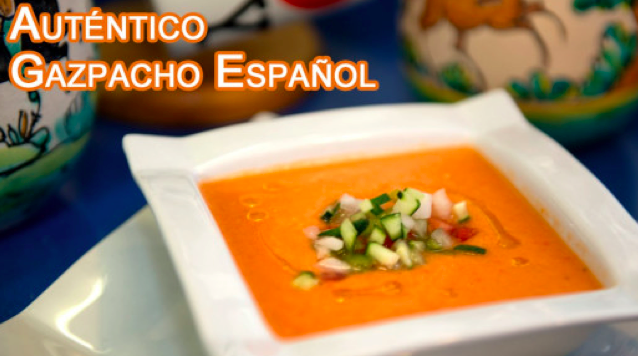 I am often haunted by the memory of the gazpacho I was served in a market just outside of Dallas-Fort Worth nearly a decade ago. I say haunted – even though I very much enjoyed the soup – because even if I had acquired their authentic Mexican recipe I would never be able to reproduce that memory in an exact duplicate. Reflections on the past, such as this blog post, and reflections of the past, such as my many attempts to recreate the soup, recalibrate an imagined original according to present interests. Whether engaged directly (as chef) or indirectly (as hangry patron), the act of remembering is a social act for creating and recreating meaning around memories, all of which cannot be reduced to any one self-evidently meaningful product. Thus, replication of a prior moment (whether deemed an experience, feeling, thought, etc.) is not achievable. In my telling about the gazpacho and your reading of my telling, we are co-creating the past through our present narrations. In order to recall that summer day, my memory of it becomes isolated from the conditions of its remembrance. As with any account of the past, the material (the combination of hot sun and cold soup) and rhetorical (Texas as a the origin of tex-mex cuisine) factors that informed my consumption of the soup at the time were not included by future renditions of the encounter. I personally regret that this logic appears to be missing from a number of pedagogical approaches, particularly those used in large-enrollment introductory courses. While this is not unique to the academic study of religion and certainly present in scholarly works outside of the classroom, I suspect that the presentation of ideas as static products of a closed system in the narrow context of these courses requires closer scrutiny. The brevity that attracts instructors to basic presentations of complex ideas often compromises any concern for how every self-authorizing claim about the ‘correct’ simultaneously conceals its own contingency as such. In fact, the veiling of conditions is the primary function of every claim of ‘exposure’ or ‘revelation’ about the ‘real’ meaning of a term. This can be observed in how concepts like ‘religion’, dichotomies like ‘sacred vs. profane’, and ‘fathers of the field’ are inserted into lectures without a contextual warrant. Without a sense of th e history of a contemporary idea’s development, it is unlikely that students will leave these courses feeling confident that religious studies has a place in their education. Perhaps, given the state of the study of religion at some public universities in the United States, it would be intuitive to present the boundaries of the field of religious studies (let alone the data scholars claim to study and the terms they use to do so) as contestable ground. I make this suggestion based on two assumptions: first, open discussion is appealing to students without a prior familiarity with religious studies who are unsure of what might get covered in a course; second, this shift in how we teach about religion will also change how we study religion because neither of these activities occurs in a vacuum. All this is to say, if granted those assumptions, methods of recollection of an experience from a supposed point of origin, to me, have much more analytical value than previously granted. Thus, scholars of religion should be more concerned with the invention of authentic recipes than gorging themselves (and their students) on their own homemade gazpacho.